I heard a burdend echo down the alleys of this war-torn town, a familiar tone, galling, they say – little do they know it was a warrior’s cry. I still recognized it. Of course I did! How could I not? 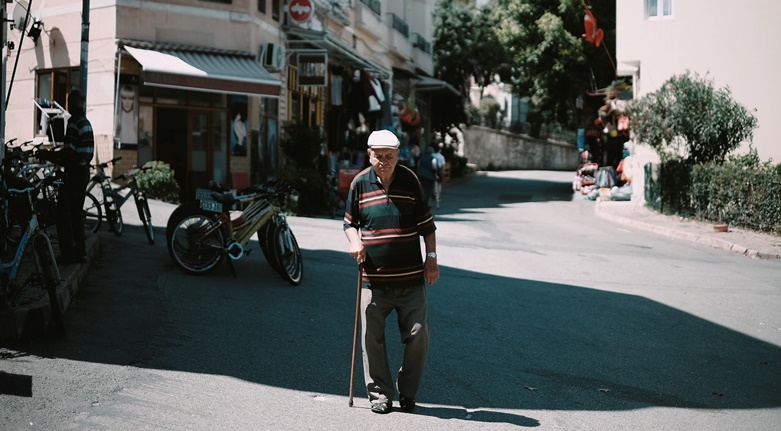 One glimpse was enough to say it all, his tanned old skin, his wrinkled face, his emaciated body, the tattered remnants of the cart he was dragging. Lord! Time bruised your skin, father, but did it bruise you heart? Is there a place for an old friend in you memories? A decade ago you were my favourite street hawker but today you went past this to become a living fighting idol of mine. I wanted to approach, I wanted to ask you “Do you still remember that little girl that promised herself to buy what you sold everyday?” I wanted to know why you stopped visiting our alley like you used to every morning. I guess, I wanted to admonish you but I know my heart is too weak to do it. I missed those loving words you used to tell me every morning. I missed you walking to school with me so that nobody could bully that creepy new girl. Do you still remember how many times you lent me sandwiches from your cart when I didn’t have the money? No, you will not remember because you offered them but I still have it all, the number attached with the date. You were my favourite friend, my only friend. I get closer with the dancing happy steps of a 10-year-old girl making her way through the crowds. But at that certain moment of that day I stood still. That was exactly when my eyes saw this old man being harassed by young teenagers showing no sense of shame, shouting the ugliest words. Why? Is it because he is poor and powerless ? But I know very well he is richer than anybody else. I know he has much more than we have. Much more than you have, kids. I stood there useless, shook, ashamed. I wanted to chide them so badly, what if he was somebody’s father? What if his kids were watching? Down the exact same fancy street couple of days ago an old man begging for money was hit barbarically by a car without anyone offering help, and so the story goes. This world has no place for kindness nor compassion. Is it really all about money and power? How can I ever put this behind like nothing has ever happened? You girl’s heart was shattered and everything was so blue until you saw me. That shy smile of yours which came into my sight could absolutely make a meadow blossom. You took the handles of you cart and walked away. You were stronger than I thought. You are strong enough to shed your old skin and go back home like nothing happened. Shame on us. Shame on me.